INTPs who have been around a while may remember the days when they were passionate and hopeful that they would and could discover convergent truth. For many INTPs, these may have been the most exciting and enchanting years of their lives. Like a child who is always anticipating how great life will be as an adult, INTPs dream of some future day of enlightenment, when the truth will be laid bare. With time, however, such idealism often fades and is supplanted by feelings of disenchantment and, for some, a sense of resignation or hopelessness. Their hope of finding convergent truth has withered, leaving in its place a naysaying, even nihilistic, skeptic. 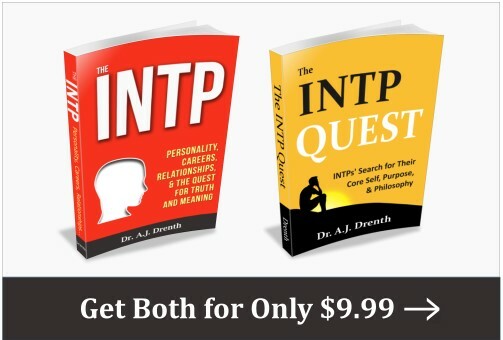 In this post, I will explore how INTP’s dominant function, Introverted Thinking (Ti), compels them to search for convergent truth and how this quest is often hindered by a number of psychological and cultural factors. In addition to highlighting these impediments, I will argue that INTPs, should they wish to do so, can begin to see their way out of the morass of absolute relativism and cynicism, rediscovering the joy of searching for convergent truth. In accordance with the Judging nature of INTPs’ dominant function, Introverted Thinking (Ti), I see one of INTPs’ overarching psychological drives as involving a move toward inner closure and convergent truth. While many INTPs may identify themselves as absolute relativists or pure skeptics, in my view, this represents a one-sided use of Ti. Sure, Ti is great for identifying logical inconsistencies and exceptions, but it also has a constructive role. When paired with Extraverted Intuition (Ne), it can function synthetically, weaving together disparate facts, theories, and ideas to produce new theories and insights. Ti can also be used constructively to bring clarity to existing theories or definitions. It is not uncommon for INTPs to spend well over a decade wrestling with truth before feeling comfortable making any strong and consistent assertions as to what they believe (If Kant and Darwin were in fact INTPs, they would aptly exemplify this observation.). Hence, developing the constructive element of Ti can require a great deal of patience and persistence. Despite the relative slowness of the development of INTPs’ theories and ideas, in my experience as an INTP, using Ti in both directions, that is, deconstructively and constructively, has brought greater fulfillment than those times when I have only exercised one aspect of it. We might therefore summarize the role of Ti in INTPs as something along these lines: To discover, synthesize, or hone truth (constructive role) while remaining aware of and attuned to exceptions and limitations (critical role). 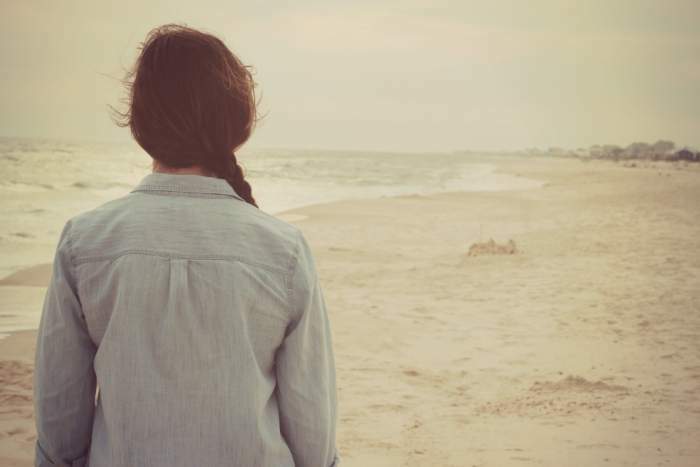 INTPs’ inferior function, Extraverted Feeling (Fe), which often acts outside of their conscious awareness, can also play an interfering role in their overarching quest for convergent truth. One way in which an unhealthy Fe causes ruckus is inciting INTPs to seek outside approval and validation for their work. Such INTPs feel that if they do not accomplish something big or important, something that brings them praise and recognition, that they will never be viewed as valuable or acceptable. (This is commonly seen in INTPs who score rather high in the Enneagram Three category.) This may lead INTPs to experience a sense of urgency in their work and demand for more and more time to themselves. They feel that if they don’t work hard and fast, that they will never make the important discoveries that will confirm their value in the world. This puts the two components of their Ti at odds with each other. Their Fe can be seen as urging the constructive element of Ti to quickly produce something valuable, while the slower and more reluctant side of their Ti realizes that discovering truth is a very slow and tedious process. One make think of this, for instance, as the difference between working as a popular writer and working as a scholar. In the former, Ne and Fe will have greater say, while in the latter, Ti will rule. We could also frame it in terms of achievement and mastery. Those who are achievement oriented are more impatient and motivated by extrinsic rewards (Fe), while those taking a mastery approach are seeking intrinsic rewards (Ti). Culture also plays a huge role in derailing INTPs’ natural propensity for seeking mastery. In the United States, for instance, people tend to be judged according to what they do rather than who they are, urging them to act quickly and to be “productive.” Moreover, individuals are in many ways expected to know what they want to do as soon as their early twenties. For the majority of INTPs, this is simply unreasonable, since, at that age, their quest for finding their niche area of knowledge has just begun. INTPs’ personal quest for convergent truth can also be impeded when they feel obliged to accept the pronouncements of highly intelligent individuals or authority figures. It’s as though they use their Ti to judge whether an individual is intelligent and learned, and, if this proves to be the case, the INTP may feel obligated, consciously or not, to accept what is said as truth. In short, some INTPs seem too prone to sympathizing with the views of authority figures they respect, which may cause them to lose confidence in or temporarily suspend the use of their own powers of insight and reason. INTPs can also get into trouble when they lose faith in their Ti theories at the first sign of an apparent empirical (Ne or Si) exception. In a culture where formal empirical methods are viewed as the only valid epistemology, it is easy for INTPs to become too dependent on supposed “facts.” This causes them to lose sight of the fact that they are wired to function as rationalists first (Ti), empiricists (Ne, Si) second. In my own investigations of typology, for instance, I was becoming very frustrated with the lack of empirical data to support the theory of type dynamics. Consequently, for quite a long time, I was a staunch opponent of the theory. It took many in-depth conversations with an INFJ before I started to awaken from my theoretical slumber and realized I was placing too much stock on studies whose results were founded on the assumption that subjects were capable of providing accurate self-report data (something I have now come to largely distrust). This serves of an example of how Ti can be used deconstructively (i.e., questioning the validity of self-report data) in order to allow it to function constructively (i.e., to remain open to working/developing a theory without discarding it). In summary, any of the above factors may complicate and hinder INTPs’ natural penchant for finding convergent truth. Having relinquished the constructive portion of their dominant function, the part that inspires them to continue seeking, constructing, and honing theories, INTPs may feel that life is meaningless and that they have no positive role in the world. Fortunately, this trend is reversible (at least it was in my experience). INTPs can use their self-awareness and powers of critical analysis to identify and undo some of their underlying assumptions, tendencies, and habits that led them to forsake their original love for convergent truth. They may realize, for instance, that they have come to embrace absolute relativism (how’s that for an ironic term) largely because it is the stance of many modern intellectuals. In doing so, however, they have effectively accepted an assumption based on popular opinion, just as their favored intellectual pedagogues are likely to have done through their cultural or academic indoctrination. In typological terms, INTPs who uncritically accept, wittingly or not, the opinions or assumptions of outside sources, are not doing what they were born to do, which is to use their Ti to come to conclusions on a largely independent basis. Once INTPs understand Ti, particularly its dual role as independent skeptic and theorist, they can work to restore whatever part of their natural mode of functioning they have lost along the way, allowing them to once again experience intellectual passion and excitement.